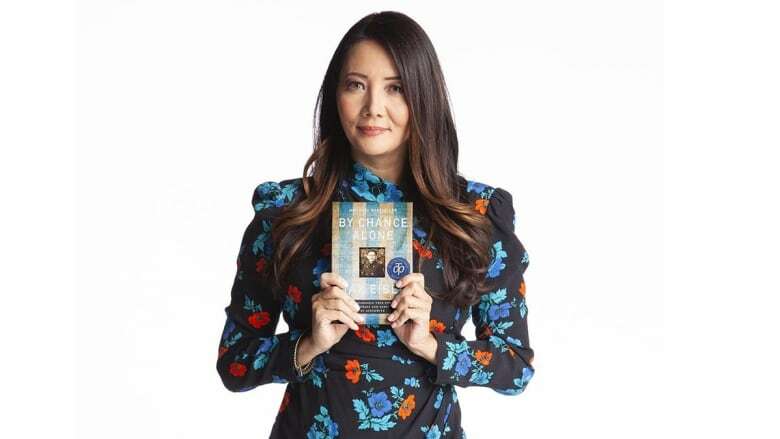 Ziya Tong is defending By Chance Alone by Max Eisen on Canada Reads 2019. Ziya Tong won Canada Reads 2019 defending By Chance Alone by Max Eisen. Ziya Tong is the vice chair of WWF Canada and is best known as the longtime co-host of the Discovery Channel's Daily Planet, which she anchored for a decade from 2008-2018. Before Daily Planet, Ziya hosted ZeD on CBC, earning a Gemini Award for viewer's choice for lifestyle host. In 2007 she hosted and produced Wired Science on PBS and The Leading Edge on The Knowledge Network. She also served as a correspondent on Nova ScienceNOW alongside Neil deGrasse Tyson. An avid traveller, Tong has visited more than 70 countries. Her book The Reality Bubble: Blind Spots, Hidden Truths, and the Dangerous Illusions that Shape Our World is forthcoming in May 2019. "Before 2016 I don't remember seeing swastikas, but these days I see them often — in the news and on social media. But here's something even more shocking: one in five Canadian young people have not even heard of the Holocaust. They don't know what it is. "There has never been a more important time to read Max Eisen's Holocaust memoir By Chance Alone. It is a powerful reminder of what happens when we see the signs around us but choose to look away. This book not only moved me, I believe it has the power to move the nation." Read more in Ziya Tong's interview with CBC Books.